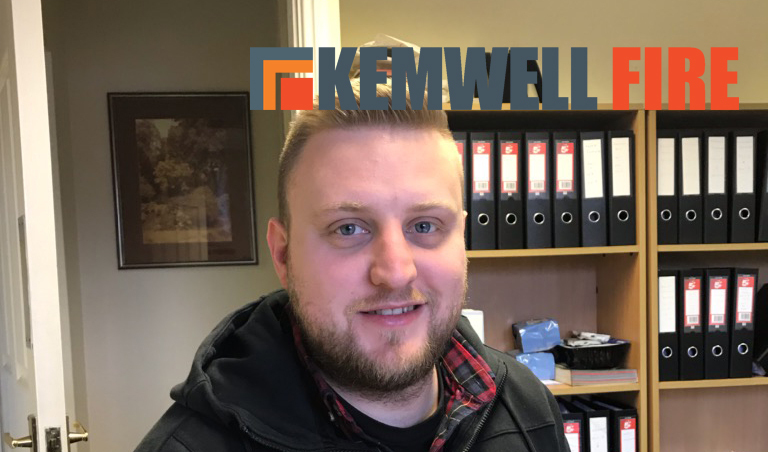 Kemwell Fire International Ltd., the leading manufacturer and supplier of fire protection products and systems is delighted to announce the appointment of Adam Perks as Sales Administrator. In the new role, Adam will support Kemwell’s busy sales and production teams. Due to sustained growth in the last few months, coupled the introduction of a number of new products, the appointment will now allow the company to progress with its plans for yet further growth as well as providing increased support and service to its customer base. “We’re delighted to welcome Adam to our growing team. He will manage the process of booking in and progressing jobs, liaising between the sales and production teams, to help keep customers as informed and up to date as possible on all issues regarding their orders, this is particularly important when product is going to site for project work. Adam will also be the first point of contact for enquiries, and support Sales with the provision of technical information”. “I’m delighted to be part of a business which has such exciting future plans. I really enjoy working with people and being in a customer-focused role is the ideal for me. I have a number of years’ experience working in Internal Sales and Customer Service roles, including roles where a technical background in an industrial market has been required. I am aware of the different needs that Distributors, Project Managers, Contractors and Architects have and how important meeting deadlines and communication are to develop long-term relationships and trust”. Birmingham based, Kemwell Fire International Ltd. is a specialist manufacturer and supplier of innovative passive fire protection building products and systems for the construction, infrastructure, transportation and energy sectors. From planning to completion, Kemwell expertly guides its clients during their fire, blast, impact, sound or moisture protection project, ensuring a fit-for-purpose and accredited solution is both specified and delivered.